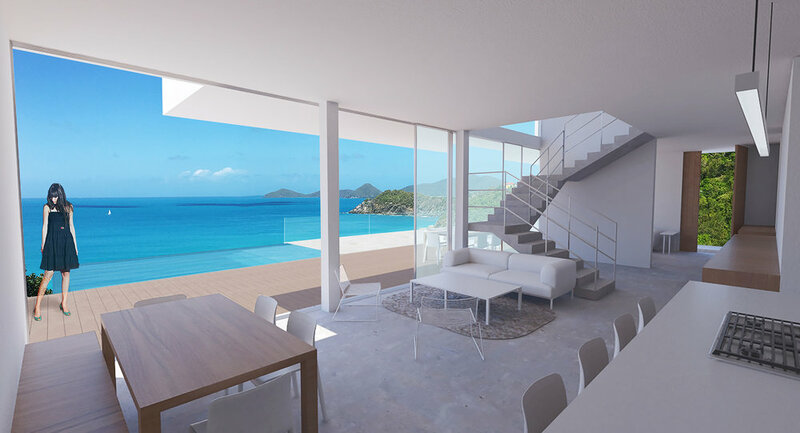 The Tortola Residence is nestled in a heavily wooded site on the north side of Tortola. Taking advantage of the steep site and views toward the Atlantic the strategy was to create a project in stark contrast with the rugged vegetation covering the site, which also elevates from the surrounding topography to ensure views to the sea. Beginning with two stacked volumes, a series of pushes and pulls creates a monolithic sculptural object while providing program areas for a deck/pool, living volume, and sleeping volume. 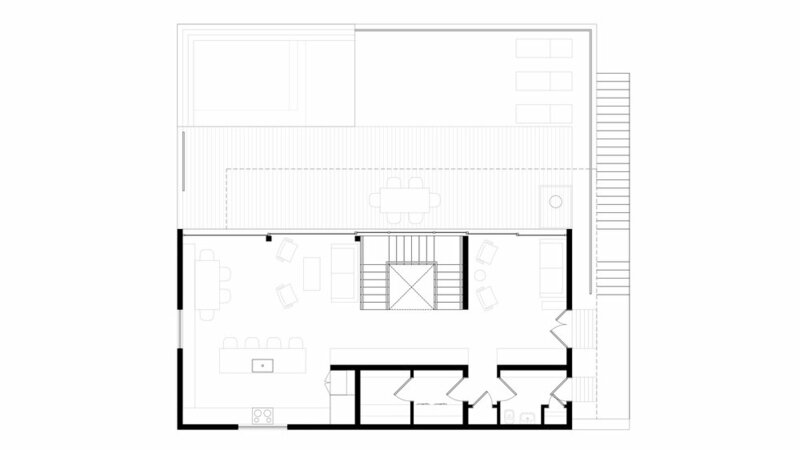 The sleeping volume hovers over the deck providing shade and space in front of the living room. The face of these volumes is then removed and replaced entirely with glass, revealing the inside of the home, and allowing views to the sea. The resulting home is a sculptural and monolithic object, projecting from the jungle.